You might think of consulting a lawyer if your teen gets into trouble, if you have questions about a Power of Attorney, or if you’re finalizing a divorce…but there are many other situations in day-to-day life when it’s smart to get advice from a Georgia lawyer. Enter LegalSpark. This new tech company was created by a Georgian with a big idea: regular Georgians routinely need legal advice, no matter what the issue, and getting that advice should be easy. With LegalSpark, getting the answers you need regarding your legal situation is simple. When you request a “spark,” an experienced Georgia lawyer calls you directly, on your schedule, for up to 20 minutes of legal help. Your call is confidential and completely secure. Below are a few questions Atlanta residents might have for a lawyer—whether or not they realize it. Of course you want to make sure your family is taken care of after you’re gone. Certain life events can trigger a need to update your will, like a death in your immediate family, a divorce, moving to another state, or even changes in tax law. Ask a state-bar licensed lawyer if you need to make any changes (and all of LegalSpark’s lawyers are licensed to practice in Georgia). Or maybe you don’t have a will at all and aren’t sure where to start. Do you need a will or a living will? Are you a good candidate for creating a DIY will at home? Talking to a licensed lawyer right at the beginning can help you make informed choices, protecting your family and your assets. More on estate planning here. What will happen to my health insurance if I get divorced? Under some conditions, you can request that your former spouse continues to provide insurance for you and your children. It’s hard to get coverage back after it’s been discontinued, so talk to a lawyer beforehand to figure out your options. More on family & divorce law here. Can I apply for a green card if I overstay my visa? There are serious consequences for overstaying the terms of your visa, like deportation or prohibition from any future entry to the U.S. However, you can avoid these consequences under certain conditions. If your goal is a path to citizenship, talk to a local lawyer to prevent serious repercussions. Or maybe you’ve applied for a green card that hasn’t yet arrived. If you leave the U.S. to visit your home country, will that hurt your application? Answers to these questions are often case-by-case, so don’t rely on your own research. Ask an expert. More on immigration law here. I believe property assessors have incorrectly raised the value of my home, and thus, my property taxes. What should I do? If you own a home in metro Atlanta, you could see your property values go up by double digits in 2018. Can you challenge that assessment if you believe it’s incorrect? Talking to a lawyer before you make your first phone call to the county can ensure you’re taking the correct steps to safeguard your wallet—and your home. More on real estate law here. I’ve inherited an established business. Do I need any new permits or licenses for my small business? Sometimes an established business is “grandfathered in,” which means that because it was established before specific licensing requirements went into effect, those requirements don’t apply. However, that “grandfathering” exemption almost always expires when a business changes hands. If you buy or inherit a business, it’s important to review the current licensing requirements and determine how they affect your new venture, so you can be sure you’re compliant with current regulations. More on business law here. Start getting the advice you need from a state-bar licensed lawyer. 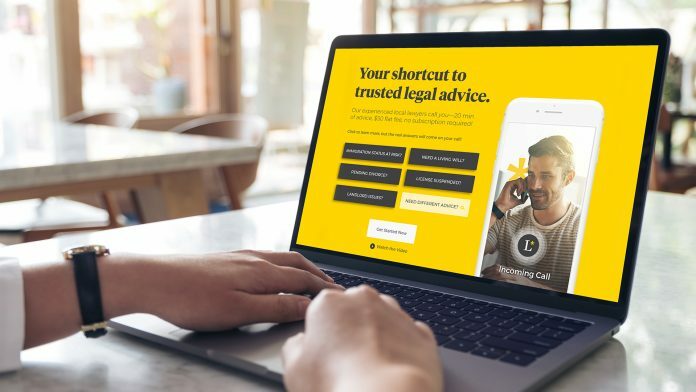 LegalSpark is an easy way to get expert legal advice. For a flat fee of $50, Atlantans can speak to an experienced, qualified Georgia attorney for 20 minutes and get answers to their legal questions—efficiently. No strings attached. LegalSpark is simple and easy to use. It makes the connection for you, so there’s no need to hunt down the right lawyer for your question. Visit www.LegalSpark.com and choose your legal topic. Based on your topic, LegalSpark will pair you with a local expert (or select your own from the list of recommended lawyers). Relax and wait for your call just minutes later (or select a convenient appointment time). Your 20-minute call—or “spark”—is no-strings-attached. But don’t worry—if your call goes over 20 minutes, it won’t end abruptly and you won’t be charged extra. Plus, no one will hassle you when you’re finished with your call. Your relationship with the lawyer is over as soon as you hang up (unless you don’t want it to be). You might be surprised how much you can learn in a 20-minute conversation. To make the most of your “spark,” gather any relevant documents and jot down your questions beforehand. Then, find a quiet spot where you won’t be interrupted and prepare to get the answers you need. For more information about LegalSpark, or to schedule your first “spark,” visit www.legalspark.com.